Happy Hump Day Steelers’ Fans! The NFL Owners were busy yesterday at their League Meetings. They have, as expected, eliminated the “control while going to the ground” part of what a catch is. I would like to tell you that this will fix everything but it won’t and it will likely lead to even more controversy. The other major piece of legislation was that any player using the crown of his helmet is subject to a 15-yard penalty and possible ejection from the game. This led to a lot of talk about Ryan Shazier which I’ll refer to later… We all know ‘player safety’ is a massive agenda for the NFL so this sin’t surprising. This needs to be instituted at the lowest levels of the game however. NFL players are already in the habit of leading with their head because many were never taught otherwise. You should also expect longer games because of this too. I saw quite a bit of discussion about Ryan Shazier yesterday once the “crown of the helmet” rule was voted in. Take off your black and gold glasses for a minute because it is 100% true that Shazier often led with the crown of his helmet. That said, some of the social media stuff I saw directed at him and his current status was vile and disgusting. The league will continue to pass rules and fine players more with the hope that things will change, but meaningful change will happen only when everyone-players, coaches, owners-share responsibility in making the game as safe as possible. From Pro Football Talk this morning… Steelers GM Kevin Colbert said on PFT Live that he would like to find the heir apparent to Ben Roethlisberger and sustain success the way the 49ers did after Joe Montana and the Packers did after Brett Favre. Ian said it best just a short time ago… This is either the biggest smokescreen or the dumbest draft strategy of the last decade. 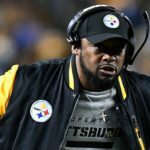 Mike Tomlin does not like touchdown celebrations. Here were my thoughts on this. Ian took a look Penn State defensive back Troy Apke. From Uncle Gerry’s Chat over at post-gazette.com. 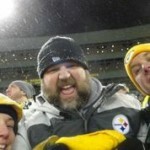 Gerry Dulac: Charlie Batch. Byron Leftwich. 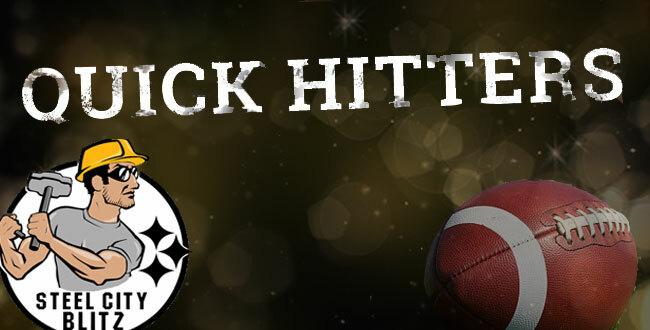 Tommy Maddox. Kordell Stewart. People have incredibly short memories don’t they? Have a great day Steeler Nation!